Daniel Gordon, the Administrator for Federal Procurement Policy and also the Chair of the Cost Accounting Standards (CAS) Board, recently reappointed two members to the CAS Board; Bruce Timman from Honeywell as the industry representative and Richard Wall from Ernst & Young as the accounting representative. The other members include Patrick Fitzgerald, Director DCAA and Kathleen Turco, GSA (General Services Administration). The CAS Board has exclusive authority (based on Statute) to issue, amend, and rescind cost accounting standards, and interpretations of the standards, designed to achieve uniformity and consistency in the cost accounting standards governing the measurement, assignment, and allocation of costs to Government contracts. Contractors use CAS to estimate, accumulate, and report costs under certain high-dollar Government contracts. Service on the CAS Board requires knowledge and experience in cost accounting. Today we conclude this three part series on the new excessive pass-through rules. Whenever a contractor expects to subcontract out more than 70 percent of the value of a contract, it must satisfy the contracting officer that it is adding value to the process. If the prime contractor is not adding value, the pass-through costs (primarily indirect costs and profit/fee applied to subcontract costs) are unallowable. Yesterday we discussed pre-contract aspects of this new rule. Today we will discuss some of the Government’s post-award emphasis. Contractors who submit annual incurred cost submissions provide a wealth of information to the Government. For example, Schedule H (Schedule of Direct Costs by Contract/Subcontract and Indirect Expenses Applied at Claimed Rates) of the standard incurred cost submission for example gives the Government everything it needs to determine the percentage of subcontracted effort to total contract value and will readily show whether those subcontract costs were fully burdened with pass-through costs. Then, it’s a simple matter of referring to the contract to determine whether the contracting officer determined that the contractor added value to the effort. If so, auditors are being tasked to determine whether the contractor is performing the added-value functions as asserted during the initial proposal phase. If it looks like the value of subcontract costs will exceed 70 percent of the contract value, the auditor will notify the contracting officer and request the contractor to provide a description and demonstration of the added-value by the contractor related to the subcontracted work. The auditor will then evaluate the functions to determine if the “added value” functions are consistent with the definition in the contract clause and perform testing to determine if the contractor is performing the “added value” functions and ascertain if the costs are reasonable. If not, the pass through charges applicable to the subcontracted effort will be questioned based on FAR 31.203(i). During an evaluation of the final voucher, auditors will calculate the percentage of subcontract costs to the total costs of work performed. If the percentage exceeds 70 percent, the auditor will perform the steps described above. The auditor will also evaluate the functions actually performed to determine if the added-value functions are consistent with the definition in the contract clause. If the contractor cannot demonstrate its “added value” efforts, then the indirect costs (and profit) added by the contractor to the subcontracted work will be questioned as excessive pass through charges based on FAR 52.215-23 and FAR 31.203(i). These FAR provisions create an allowability issue on excessive pass through costs, not an allocability issue. The excessive pass through costs are still allocable to a contract, but will not be paid by the Government (i.e., unallowable) if the contracting officer determines the contractor does not provide “added value” to the subcontracted portion of the work. This means that contractors cannot simply allocate their indirect cost pools over a base that excludes a particular contract. Auditors are being reminded that functions and related costs not determined excessive in accordance with FAR 31.203(i) are still subject to FAR 31.2, Allowability, Allocability, and Reasonableness and should be audited accordingly. Today we continue our discussion on excessive pass-through costs. The impetus behind this new rule was Section 866 of the Duncan Hunter National Defense Authorization Act for Fiscal Year 2009. The Act required that the FAR be amended to minimize excessive pass-through charges by contractors (or lower-tier subcontractors) that add no or negligible value to the subcontracted work. The Government will not pay excessive pass-through charges. The Contracting Officer has determined that there will be no excessive pass-through charges, provided the Contractor performs the disclosed value-added functions. Sometimes however, contractors change the amount of subcontract effort after contract award such that it exceeds 70 percent of the total cost of work under the contract. This can happen for a variety of reasons – overcapacity in the contractor’s facility, more cost effective to buy than to produce in-house, or shortage of skilled workers, to name a few. When this happens, contractors must notify the contracting officer in writing of the revised cost of the subcontract effort. The notification must include verification that the contractor will provide “added value” (FAR 52.215-23(c)). If after review of the contractor submitted data the contracting officer concludes that excessive pass-through charges exist, the Government has a contractual mechanism to recoup those costs. On cost-type contracts, billings will be reduced. On fixed-price contracts, the Government will be entitled to a priced reduction. The FAR clause does not specify how these reductions are to be computed and negotiated but we would expect guidance will be forthcoming. Ensure the contractor’s proposal includes a description of the contractor’s “added value” as required by FAR 52.215-22. Evaluate the reasonableness of the contractor’s description and supporting documentation of the “added value” to assess whether the contractor is in compliance with the requirements set forth in FAR 52.215-23. If the “added value” description is not included, contractors face potential estimating deficiencies. Auditors are being instructed to consider such a proposal to be inadequate. That will certainly slow down the acquisition process as the proposal is returned for revision. The more significant concern however is that auditors are also being instructed to consider such an omission to be an estimating system deficiency and to consider issuing an estimating system deficiency report. This could jeopardize contractors’ success in future solicitations and it could possibly result in temporary billing withholds on existing contracts when the new business system rules become final. Tomorrow we will conclude this series with some comments on incurred costs and final vouchers. Last October, the FAR councils added an interim rule to FAR that limited the allowability of excessive pass-through costs on Government contracts. The interim rule was replaced by a final (essentially unchanged) rule in December and the final rule became effective last January. Refer to our post of December 17, 2010 for an overview of the pass-through requirements. Now that the requirement has been in place for a few months, we can offer a few insights into how the Government will ensure contractor compliance with the provisions. Today and for the next two days, we will discuss compliance aspects that contractors should be cognizant of during the pricing, performance, billing, and closeout phases of a contract in order to comply with these new prohibitions on excessive pass-through costs. First some background. For DoD contracts, the new pass-through provisions apply to fixed price and cost-reimbursement type solicitations where the estimated contract value exceeds the threshold for obtaining cost or pricing data (currently $700 thousand). For civilian agencies, the provisions apply to solicitations for cost-reimbursement contracts greater than $100 thousand. When these thresholds are reached, prospective contractors must identify in their proposals, the total cost of work they will perform and the total cost of work to be performed by subcontractors. If the proposed subcontracted effort is expected to exceed 70 percent of the total cost of work to be performed, the prospective contractor must also identify the amount of indirect costs and profit/fee applicable to the work to be performed by the subcontractor along with a detailed description of the "added value" to be provided by the offeror as related to the work to be performed by the subcontractor. "Added Value" in this context is defined in FAR 52.215-23 but has a subjective aspect to it as well. Added value according to FAR means that the contractor will perform subcontract management functions that the contracting officer determines are a benefit to the Government. Note the contracting officer's role in determining whether a contractor adds value. Examples of subcontract management functions listed in FAR include (i) processing orders of parts or services, (ii) maintaining inventory, (iii) reducing delivery lead times, (iv) managing multiple sources for contract requirements, (v) coordinating deliveries, and (vi) performing quality assurance functions. If a prospective contractor cannot establish to the contracting officer’s satisfaction that it will add value to proposed subcontract costs, any indirect costs and profit/fee applicable to those proposed subcontract costs, those allocations are determined to be “excessive pass-through” costs and are unallowable and will not be paid or reimbursed by the Government. Those costs are also unallowable, meaning they cannot be allocated to other Government contracts. Pass-through charges are indirect costs and profit/fee applied to subcontract costs. Excessive pass-through charges are those that add no or negligible value to a contract. No or negligible value means that the contractor could not demonstrate to the contracting officer's satisfaction that its effort adds value to the contract in accomplishing the work to be performed under the contract. Tomorrow: What the Auditors Might be Looking For. is almost like CAS 414 except whereas CAS 414 applies to assets employed, CAS 417 applies to assets under construction, fabrication, or development for contractors' own use. Like CAS 414, it is applicable to all contracts and contractors under FAR 31.205-10 as long as it is measured, assigned, and allocated in accordance with CAS and the costs were specifically identified and proposed in cost proposals relating to the contract under which the cost is to be claimed. (2) Treat month-end balances as individual representative investment amounts. The standard requires that if substantially all activity necessary to get the asset ready for its intended use is discontinued, cost of money shall not be capitalized for the period of discontinuance. However, when such discontinuance occurs beyond the control and without the fault or negligence of the contractor, the cost of money will continue to be capitalized. However, brief interruptions and delays because of technical construction problems, labor disputes, inclement weather, shortage of material, etc. will not require discontinuance of capitalization of cost of money. Calculation methodologies and interest rates for CAS 417 are the same as for CAS 414. Refer to our post on CAS 414 for those details. Litigation involving Government contracts sometimes results, not infrequently by the way, from a contractor doing something at the direction of the Government and finding out later that it is not going to be compensated for the extra work. It is very important for contractors to keep in mind that only the contracting officer has the authority to make any commitments or changes that affect price, quality, quantity, delivery, or other terms and conditions of the contract. While there may be a host of other Government representative that look and act like they have such authority, they do not. The contracting officer representative (COR) is one of those that do not have such authority. The COR position, because they are usually on-site and very knowledgeable about the project, is often at the heart of these disputes. Contracting officer representatives (CORs) are individuals appointed by the contracting officer (CO) to assist in the technical monitoring or administration of a contract. Although CORs can be employed on all types of contracts, they are more common in complex and long term services, supply, and/or construction contracts. Monitoring the contractor's progress and performance, including the submission of required reports or other documentation. Perform necessary inspections, including documenting the inspection with a report concerning performances of services rendered under the contract. Perform acceptance for the government of supplies and services received, including certifying receipt of supplies/services. Recommend to the CO contract modifications and termination actions. Assist in meeting the Government's contractual obligations to the contractor. Report any instance of suspected conflict of interest or fraud, waste, and abuse. A COR does not have the authority to make any commitments or changes that affect price, quality, quantity, delivery, or other terms and conditions of the contract. They may not make agreements with a contractor requiring the obligation of public funds, they cannot sign any contract, delivery order, purchase order, or modify a contract. Here's where things get sticky and litigation ensues. CORs may not encourage the contractor by words, actions, or a failure to act to undertake new work or an extension of existing work beyond the contract period; interfere with the contractor's management prerogative by supervising contractor employees or otherwise directing their work efforts. CORs may not authorize a contractor to obtain property for use under a contract; allow government property accountable under one contract to be used in the performance of another contract; issue instructions to the contractor to start or stop work order or accept goods or services not expressly required by the contract. Contractors will do well to understand the duties and responsibilities of both COs and CORs. DCAA has dipped into the Army Audit ranks once again to fill its high-level positions. A little more than a year after Fitzgerald left Army Audit to take over as DCAA's Director, the Agency announced yesterday that it had chosen another Army Audit veteren for its Deputy Director. 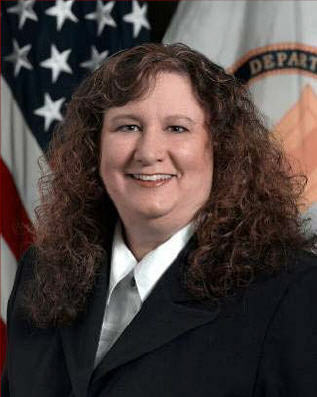 Ms. Anita Bales will join DCAA as the new Deputy Director on April 10, 2011. Ms. Bales is a Certified Public Accountant, Certified Government Financial Manager, and Certified Information Systems Auditor with more than 25 years of audit experience with the U.S. Army Audit Agency. Ms. Bales has a Bachelor's degree in Accounting from Drake University, and an MBA from Syracuse University. CAS 414 - Cost of Money as an Element of the Cost of Facilities Capital. This Standard has been incorporated into FAR 31.205-10 (Cost of Money) and is therefore applicable to all government contracts and contractors. .
CAS 414 recognizes that the cost of facilities capital is a contract cost and provides criteria for measuring and allocating an appropriate share of the cost of money that can be identified with the facilities employed in a business. CAS 414 contains some very specific techniques that must be used to compute cost of money in connection with price proposals, forward pricing rate agreements, and with the establishment of final indirect cost rates. Cost of money is an imputed cost which is identified with the total facilities capital associated with each indirect cost pool. Generally, cost of money is allocated to contracts over the same base used to allocate the other expenses included in the pool. The calculation of the cost of money for each contract involves several steps. The average net book value of facilities for each indirect expense pool having a significant allocation of facilities is identified from accounting data used for contract costing. The cost of money devoted to facilities capital for each indirect expense pool is the product of these net book values multiplied by the cost of money rates per the Secretary of the Treasury under Public Law 92-41, 85 Statute 97. The current rate is 2.625% and is updated every six months. You can always find the current rate here. 3) Facilities capital cost of money factors are computed by dividing the cost of money for each pool by the corresponding allocation base. The allocation bases used in this computation must be compatible with the bases used for applying indirect costs in determining contract costs. The facilities capital cost of money factors, wherever applicable, must be computed in accordance with the CASB-CMF form, Facilities Capital Cost of Money Factors and Computation. The CASB-CMF form and instructions are easily found through an Internet search. For example, here's one from a DOE website. For contracts covered by FAR but not CAS, the recovery of Cost of Money is usually conditional upon having been specifically identified and proposed in the price proposal. However, even when the contractor waives Cost of Money by failing to propose it, Cost of Money is still considered in computing the normal cost of ownership for purposes of determining the amount of allowable rental cost in a related-party lease under the rental cost principle (FAR 31.205-36). See Appeal of Engineering Inc., NASA BCA No. 187-2. Some solicitations, such as SBIRs (Small Business Innovative Research) and cost sharing agreements specifically prohibit contractors from claiming cost of money as a contract cost. Last November we wrote about this subject, noting that the Government had found instances where government contractors were inappropriately billing the cost of health benefits for dependents that were no longer eligible for those benefits under the terms of the contractors’ health benefit plans. Such costs are unallowable under FAR 31.201-6. The reasons for dependent ineligibility include, among other things (i) dependents have reached the age where they no longer qualified as a dependent, (ii) spouses were divorced, or (iii) dependents were covered under another plan as well as the contractor's plan. Our guidance then and now is for contractors to establish procedures that ensure the health care costs for ineligible dependents are excluded from any pricing or billing to the Government. Evidently this is a bigger issue and perhaps more widespread than we thought at the time. DCAA (Defense Contract Audit Agency) recently supplemented its audit guidance on the matter to instruct auditors on how to maximize recovery when contractors fail to exclude unallowable health benefit costs associated with ineligible dependents. Auditors are now being instructed to find such contractors in noncompliance with CAS 405. Since CAS 405 applies to both "full" and "modified" CAS contracts, it will affect a lot of contractors. By approaching this as a CAS noncompliance issue, the Government is able to recoup all excess costs, including incurred costs for years that have already been settled. Additionally, CAS noncompliances carry an interest penalty provision which could significantly increase a contractors liability. Contractors that are not CAS covered still have to deal with the costs in open years and the possibility of having penalties applied for having claimed those costs in the first place. Additionally, DCAA will also consider whether an accounting system deficiency is appropriate since the contractors did not have adequate procedures in place to ensure that unallowable costs are not charged to the Government. Auditors are now designing procedures to specifically address this area so we recommend that contractors design their own procedures to ensure that health benefit costs for ineligible dependents are not passed along to the Government. On March 14, 2011, the Secretary of Defense announced his "Efficiency Initiative" decisions to reduce duplication, overhead and excess and to instill a culture of savings and cost accountability across the Department of Defense. Overall, these decisions should cut about $4 billion out of future years budgets. Initiatives include significant cuts in the number of General/Flag Officer positions (140 of the existing 952), Senior Executive Civilians (176 positions) and Highly Qualified Experts (33 positions). Contractors will be affected by these decisions. Contractors supporting MDA (Missile Defense Agency) will be hit especially hard. Reduce non-acquisition (administrative) positions by 50. Reduce travel costs by $1.7 million in FY11 and $3.9 million in FY12. Reduce contracted out support services by 5 percent (4 contractor position). Perform more studies to find more efficiencies. Reduce PCS (Permanent Change of Station) costs by $1.7 million. Reduce overtime costs by $600 thousand. These initiatives should not have a significant impact on the organizations' ability to conduct reviews and support contracting activities. Reductions in overtime are more than offset by the additional hiring that is occurring in both of these organizations. The Government and contractors have specific roles relative to contract performance. The Government defines the deliverables and contractors determine how best to perform the work. With rare exception, (e.g. contract clauses specifying "key" personnel) Government officials should not be directing contractors' selection or termination of employees. Giving such direction alters the traditional allocation of contractual responsibilities between the Government and its contractors. Its extremely disruptive and costly to contractors, especially in situations where contractors have no other work to assign to an employee that someone in the Government happens not to like or is "forced" to hire a particular individual for a position that is already filled or a position that is not necessary. It also diminishes the Government's ability to hold contractors accountable. Federal officials who encourage or direct the hiring or firing of specific individuals are misusing their federal positions. Adherence to this separation of roles does not mean that the Government will or should refrain from providing feedback to contractors about their performance through the appropriate channels, including providing feedback to contractors about inappropriate behavior or performance concerns caused by specific contractor employees. Most contractors would welcome "courtesy" feedback about the performance and conduct of employees, especially if they might otherwise be unaware of those performance issues or customer concerns. Contractors sometimes overstep their authority in a similar fashion. Where a particular contract requires a level of government oversight such as audit or quality, contractors sometimes try to dictate which particular government employee they'll allow into their plant or facility to perform those oversight activities. Valid concerns over independence or objectivity should be elevated to the appropriate authority but contractors should not otherwise have input into who a particular agency sends out to perform whatever review is required. This week we've been discussing the DoD proposal to expand the requirement to display hotline posters and how such a display fits into a company's overarching internal control structure. It seems such an easy task to display a hotline poster - tack it up on the breakroom bulletin board or somewhere else in the work area. It is our sense however that many contractors are in noncompliance. We've been to many contractor facilities and haven't seen many posters. Is this one of those requirements without teeth? Are there any consequences to a contractor for not displaying the required poster? The short answer to the latter question is 'yes', there certainly could be consequences. Failure to comply with FAR 52.203-13 (Contractor Code of Business Ethics and Conduct) and FAR 52.203-14 (Display of Hotline Poster) will be viewed by the Government as an internal control deficiency and could lead to an audit opinion that a contractor's accounting system is inadequate for Government contracting purposes. This could result in a 10 percent withhold on all billings to the Government until fixed under a new DoD proposal and potentially jeopardize the award of or selection for new contracts. Every time an experienced Government auditor comes into a contractor facility, he/she is observing things. The auditor may be coming in to evaluate a price proposal, or review incurred costs, or to interview employees about their time charges (floorchecks) but they are constantly aware and alert for other things as well. They'll be looking for that hotline poster. They'll be looking to see if there is any idle capacity or idle facilities. They'll be sensing indications of inefficient, uneconomical, or ineffective activities. They might take note of Ferrari's in the company parking lot. They'll take note of vague position titles or positions that are not commensurate with the company size - especially for family members (This is my son, the Vice President of Marketing for our five employee company). These observations may not be followed up or acted upon at the time but neither will they be forgotten. All such observations are documented on "audit lead sheets" and filed for later use during the appropriate audit. If significant enough or considered to be high risk, the auditor may very well initiate a new audit. Yesterday we alerted you to DoD's new proposal to extend the requirement for displaying a DoD Hotline poster to all contractors having contracts greater than $5 million. Today we will discuss how hotline posters and ethics programs in general are viewed by Government auditors. These programs fit into and affect the overall system of internal controls. In any review of internal controls, whether it be accounting, timekeeping, billing, purchasing, etc, the auditor will examine what they term, the "control environment" The control environment sets the tone of an organization, influencing the control consciousness of its people. It is the foundation for all other components of internal control, providing discipline and structure. There are many aspects to the control environment, but the number one attribute the auditor looks for is "integrity and ethical values". This idea of integrity and ethical values is not unique to the government contracting environment. Auditors performing financial audits are equally concerned about internal control systems in general and integrity and ethics in particular. Management must "set the tone at the top". Management must convey the message that integrity and ethical values cannot be compromised, and employees must receive and understand that message through continuous demonstration of words, actions, and commitment to high ethical standards. Following are just a few of the audit steps that an auditor will walk through to assess the adequacy of a contractor's integrity and ethical values. Verify the existence of a written code of conduct and review the contents to ensure it addresses ethical business practices, conflicts of interest, and expected standards of ethical and moral behavior. The code should cover dealings with customers, suppliers, employees, and other parties (required by FAR 52.203-13(b)(1)). (c) cite consequences for violations. Perform procedures to ascertain that the requirements in FAR 52.203-13, Contractor Code of Business Ethics and Conduct, and FAR 52.203-14, Display of Hotline Poster are being followed. Verify that the business ethics awareness and compliance program includes an ethics training program for all principals and employees. Verify that the contractor performs periodic reviews (i.e., at least annually) of company business practices, procedures, and internal controls for compliance with the contractor’s code of business ethics and conduct and special requirements of Government contracting, including the specific requirements in FAR 52.203-13(c)(2)(ii)(C). Verify that the contractor has an internal reporting mechanism, such as a hotline, which allows for anonymity or confidentiality, by which employees may report suspected instances of improper conduct, and instructions that encourage employees to make such reports (see FAR 52.203-13(c)(2)(ii)(D)). We've discussed the FAR required contractor code of business ethics and conduct and displaying "hotline" posters a number of times in this blog (for example, go here and here). When it comes to displaying hotline posters, if you have a contract greater than $5 million, you need to display a specific hotline poster from whatever governmental agency awarded your contract. FAR, however, contains an exemption for contractors who have implemented a business ethics and conduct awareness program, including a reporting mechanism, such as a hotline poster. Those contractors need not display any agency hotline posters. "...has the potential to make the DoD hotline program less effective by ultimately reducing contractor exposure to DoD IG fraud hotline posters and diminishing the means by which fraud, waste, and abuse can be reported under the protection of Federal whistleblower protection laws. Some contractor's posters may not be as effective as the DoD poster in advertising the hotline number, which is integral to the fraud program. Or, to state this another way, the DoD IG is concerned that contractors with business ethics and conduct awareness programs are trying to resolve issues in-house and do not make it convenient for employees to seek redress outside of the organization. Last week, DoD proposed to eliminate this exemption so that all contractors (with $5 million contracts) must display the hotline poster irrespective of whether they have business ethic and conduct awareness programs. This revision will affect only DoD contracts but as often happens, may ultimately extend to all Agencies. The comment period for this proposal ends May 11, 2011. We have always recommended that contractors prominently display hotline posters in common work areas in business segments performing work under Government contracts whether required to or not. Its cheap and easy and demonstrates a propensity to ethical conduct. The posters can be ordered free (or downloaded) from the DoD IG website. By the way, both the current contract requirement and the proposed revision requires that company websites used as a method of providing information to employees also display electronic versions of the poster. On March 8th, the Department of Education reissued its FAR supplemental regulations (EDARs). The revised regulations become effective on May 9, 2011. This is a major re-write of the EDARs and were necessitated to accurately implement the current FAR as well as Education Department procurement policies. If you have Department of Education contracts, you need to review the revised regulations and assess the impact on your organization. You can access them here. Although we haven't studied the revisions in detail, we do have a few observations. Much of the regulation deals with internal Departmental processes. There are no new cost principles that affect FAR Part 31. There are no significant contract administration requirements imposed on contractors. There are several new reporting requirements for improper business practices and personal conflicts of interest. Help-wanted advertising costs have become a sensitive audit area for Government auditors due to many restrictions placed on such activities by the FAR (Federal Acquisition Regulations). Prior to May 3, 1999, FAR 31.205-34(b)(1) stated that help-wanted advertising costs for personnel other than those required to perform obligations under a Government contract are unallowable. This provision should not be interpreted as disallowing help-wanted advertising costs applicable to indirect employees, such as accountants, internal auditors, lawyers, etc. This provision did, however, prohibit help-wanted advertising costs that are for personnel peculiar to the performance of obligations under commercial contracts. Effective May 3, 1999, this provision was removed from FAR 31.205-34 because it duplicates the allocability provisions already discussed in FAR 31.201-4. Help-wanted advertising which does not describe specific positions or classes of positions is unallowable. For example, advertising aimed at building a backlog of resumes, rather than filling specific job openings would fall under the unallowable category. Auditors typically review help-wanted advertisement and contractor replies to applicants to help determine whether or not the advertisement is one for filling specific job openings. Advertising which is excessive in relation to the number and importance of the positions, or in relation to the practices of the industry, is unreasonable and therefore unallowable. Inherent in any such determination is not only the size of a particular advertisement in a publication, but also the length and frequency of recruitment advertising in all media (including radio and television). Consideration must also be given to the effectiveness of the advertising program in terms of responses by qualified personnel and the number of hires. This is a highly subjective area where auditors often request technical assistance from the administrative contracting officer. Help-wanted advertising which includes material that is not relevant for recruitment purposes, such as extensive illustrations or descriptions of the company's products or capabilities, is unallowable. Contractors should take due care when claiming help-wanted advertising costs to avoid penalties. Allowable recruitment advertising should be limited to the following information. Pushing the boundaries much beyond these basics invites audit issues. CAS 416 - Accounting for Insurance Costs. CAS 416 provides criteria for the measurement of insurance costs, the assignment of such costs to cost accounting periods, and their allocation to cost objectives. The Standard covers all kinds of insurances including purchased insurance, self-insurance, and payments to a trustee of an insurance fund. Self-insurance, probably the most complex part of this standard, is defined as the assumption or retention of the risk of loss by a contractor, either voluntarily or involuntarily. The absence of insurance is typically regarded as one form of self-insurance. Charges for self-insurance for each period for each type of self-insured risk should be based on an estimate of the projected average loss for that period. That's where things get complicated and disputes between contractors and the Government arise. Insurance administration expenses which are material in relation to total insurance costs should be allocated on the same basis as the related costs. Contractors with self-insurance programs must abide by CAS 416 whether CAS covered or not. FAR 31.205-19 makes it so. The same FAR section also requires contracting officer approval of a self-insurance program before the related costs are allowable. Record keeping is a major piece of this standard. Contractors must maintain records to substantiate the amounts of premiums, refunds, dividends, losses, and self-insurance charges. Records should also show the frequency, amount and location of actual losses by major type of risk. Exposure to the risk of loss may differ significantly between government and commercial operations and products. When risks differ significantly, government and commercial insurance costs should be accumulated and allocated separately. Profit/fee is the dollar amount over and above allowable costs that is paid to the firm for contract performance. Most contract prices include either profit or fee. For contracts awarded on the basis of cost/price analysis, FAR requires the Government to use a structured approach to determining the reasonableness of the profit/fee included in the negotiated price. When cost information other than cost or pricing data are required, the Government may need to use profit/fee analysis to determine the reasonableness of any profit/fee included in the contract price. According to FAR 15.404-4(b), the Government must use a structured approach to determining profit/fee. FAR only prescribes the factors that must be considered in establishing the profit/fee objective. It does not prescribe specific Government-wide procedures for profit/fee analysis. The underlying assumption behind Government structured approaches to profit/fee analysis is the belief that contractors are motivated by profit/fee. Structured approaches provide a discipline for ensuring that all relevant factors are considered in developing Government profit/fee negotiation objectives. · Maintain a viable industrial base to meet public needs. The Government’s profit/fee calculations must consider the unique circumstances of the immediate negotiation. However, contract fee cannot exceed statutory limits that apply to cost-plus-fixed-fee contracts. There are two statutory limits on profit and fee. Experimental, developmental, or research work performed under a cost-plus-fixed-fee contract is limited to 15% of the estimated contract cost while all other cost-plus contracts are limited to 10%. Each agency is responsible for developing its own structured approach. However, FAR stipulates factors that must be considered unless they are clearly inappropriate or not applicable. Undertake contracts requiring a high degree of professional and managerial skill and whose skills, facilities, and technical assets can be expected to lead to efficient contract performance. Assume a proportionately greater degree of cost responsibility and associated risk. Have displayed unusual initiative in support of socioeconomic programs. Have made investments that will facilitate efficient and economical contract performance. Have demonstrated an ability to perform similar tasks effectively and economically. Have undertaken relevant independent development without Government assistance. Actively support agency program objectives. It is always beneficial for contractors to perform its own structured approach to determining the amount of fee included in proposals to the Government. Sometimes, solicitations require contractors do so and submit them with their bids. But even if not required, contractors will generally have better knowledge of the factors affecting the amount of profit/fee than the Government and can use this knowledge to ensure it maximizes profit on the contract. Interior Department contractors must begin submitting payment requests through the Treasury Department's IPP System (Internet Payment Platform) beginning May 1, 2011. Interior joins a growing list of Federal agencies using the IPP system. Based on our limited exposure to the system, it is much "friendlier" and intuitive than DoD's WAWF (Wide Area Workflow) or DOE's VIPERS (Vendor Inquiry Payment Electronic Reporting System) for submitting payment requests (any request for contract financing payment or invoice payment). Name and address of the contractor. Contract number or other authorization for supplies delivered or services performed (including order number and contract line item number). Description, quantity, unit of measure, unit price, and extended price of supplies delivered or services performed. Shipping and payment terms (e.g., shipment number and date of shipment, discount for prompt payment terms). Bill of lading number and weight of shipment will be shown for shipments on Government bills of lading. Name and address of contractor official to whom payment is to be sent (must be the same as that in the contract or in a proper notice of assignment). Name (where practicable), title, phone number, and mailing address of person to notify in the event of a defective invoice. Electronic funds transfer (EFT) banking information. Under a manual billing system, if the invoice does not comply with these requirements, the designated billing office must return it within 7 days after receipt with the reasons why it is not a proper invoice. Under the IPP system, the invoice cannot be submitted without the information. Of course, if the information entered is incorrect, the invoice can still be returned to the contractor for correction. Before the Government can award a contract, it requires some level of assurance that contractors' accounting systems are capable of accumulating and reporting costs under Government contracts. Having software that keeps track of income and expenses is only the start. The Government has many other requirements that a system must meet in order for it to be acceptable. Many of these requirements involve related internal control systems. A requirement for employees to complete their time cards on a daily basis would be one of those. For companies with no previous Government contracts, auditors will perform a preaward accounting system survey. This type of review focuses on whether a system has the capability to account for costs under the particular type of contract being contemplated (cost type contracts require more accounting system functionality than fixed price contracts). Essentially, the audit is limited to obtaining an understanding of the design of the accounting system so as to appropriately complete Standard Form 1408, Preaward Survey of Prospective Contractor Accounting System. In a preaward survey, the auditor is not performing much in the way of transaction testing. After contract award, the Government may need another audit of a contractor's accounting system. This can arise when deficiencies were identified in the preaward survey because the Government needs assurance that those deficiencies were corrected. Also, the Government may have identified one or more risk factors that suggest the accounting system is not operating as it should. The audit program for a post-award accounting system audit looks at pretty much the same attributes as a preaward audit but the focus is not on whether the system has the capability to accumulate and bill costs under Government contract but is actually doing so - is actually functioning as intended. In this type of audit, there is a significant amount of transaction testing. For example, in a preaward survey, the auditor might look at policies and procedures. In a post award audit, the auditor will test those procedures to see if they are operational and are accomplishing their purposes. Prospective contractors who fail a preaward audit may well lose out on contracting opportunities. Failure could jeopardize the award of potential contracts. Contractors who fail a post-award audit are at risk of having direct billing authority suspended, of having some of their billings withheld (until the deficiencies are corrected) and significantly more oversight in general. Audit reports on post award accounting system reviews are sent to all Government customers. If there are deficiencies, that's not a good thing. Contractors should periodically perform a self assessment of their accounting system. Download the SF Form 1408 and see if your accounting system can meet the criteria listed on that form. If the auditors have previously performed an audit and found deficiencies, don't procrastinate in correcting those deficiencies. Even if you have not heard from them in some time, those audits are being tracked and there will be a followup review at some point. If you have committed to a specific corrective action plan, make sure you follow through and do what you said you were going to do. From an auditor perspective, there is nothing worse than a contractor failing to follow through on its promises. The Department of Defense is proposing changes to its procurement regulations to encourage contracting officers to increase the use fixed price incentive (FPI) contracts in the hope of reducing contract costs. DoD uses the phrase "...to incentivize productivity and innovation in industry"). Under FPI contracts, the price is not truly fixed. Instead, a target price is negotiated and this target price consists of a target cost and a target fee. If the final negotiated cost of the contract is above or below the target cost, then the contractor's profit will be adjusted downward or upward using a negotiated share ratio. The final price consists of the final negotiated cost plus the profit computed at that final cost using the share ratio. However, there's also a ceiling price above which the contractor will not be paid. There is a significant downside to FPI contracts from a contractor's perspective. These contracts have to be tracked like cost-reimbursable contracts and included in contractors annual incurred cost submissions. Given that DCAA is hopelessly delinquent in auditing contractor incurred costs, the probability of negotiating a final contract price for purposes of calculating the final profit amount, in a reasonable amount of time, is slim. By comparison, contractors do not need to wait for a final audit before receiving final payment for fixed-price contracts. allocating pension costs to segments. Actuarial gains and losses represent differences between actuarial assumptions and actual experience. For example, you might have assumed that the pension funds held in trust would grow by five percent whereas the actual growth was only four percent. The difference between five and four percent represent an actuarial loss. CAS 413 requires that actuarial gains and losses be calculated every year and assigned to current and subsequent cost accounting periods. Typically, these gains and losses are amortized over 15 years including the current period. Disputes frequently arise between contractors and the Government on how to assign pension costs equitably to segments. The standard provides several options but bottom line, pension costs must follow the employees that generated the costs. Contractors can use a composite method if there are no significant disparities in actuarial factors between segments and allocate costs to segments on a base which represents the factors used in computing pension costs. Contractors may also compute pension costs on a segment basis. Under this basis, costs shall be based on the assets and liabilities of the individual segment. The standard also includes criteria for adjustments when there are segment closings, plan terminations, and plan curtailments. CAS 412 - Composition and Measurement of Pension Costs. Pension plans are normally segregated into two types of plans; defined-benefit and defined-contribution pension plans. CAS 412 establishes the composition of pension costs, the basis of measurement, and the criteria for assigning pension costs to cost accounting periods. CAS 413 - Adjustment and Allocation of Pension Costs, which we will look at later, addresses the accounting treatment of actuarial gains and losses and the allocation of pension costs to segments within an organization. This Standard has been fully incorporated into FAR (see FAR 31.205-6(j)) and therefore applies to all Government contractors, whether CAS covered or not. However, since very few contractors have defined-benefit plans these days, the complexities of this standard are not going to apply. Most of this standard pertains to defined-benefit pension plans and the parts that apply to defined-contribution plans are easy to understand and apply. In a defined benefit pension plan, the contributions to be made by the contractor are calculated actuarially to provide pre-established benefits, e.g. a lifetime annuity. Under a defined-benefit plan, pension costs usually consists of four elements. For defined-contribution pension plans, the pension cost for a cost accounting period is the net contribution required to be made for that period, after taking into account dividends and other credits, where applicable. Under both defined-benefit and defined-contribution plans, the required contributions must be funded in order to be allowable. Increased costs due to late funding are not allowable under Government contracts. The CAS Board is currently working on changes to CAS 412 to harmonize this standard with the Pension Protection Act of 2006.